The value of the UK water cooler market has reached the £140 million mark in 2018, the British Water Cooler Association (BWCA) annual conference heard today (28 March 2019) from Zenith Global. Last year the sector topped £133 million in value. The UK cooler market in 2018 increased in terms of the total installed cooler base growth, to reach 678,000 units with 2.2% growth. The market has been driven by increases in both POU (mains fed) and BWC (Bottled Water Coolers) unit placements. Revenue grew by 4.9% compared with 2017. For the first time, as a benefit to BWCA members, the conference delegates were presented with a sector report summary, produced for the Association. The full report is available from Zenith Global. 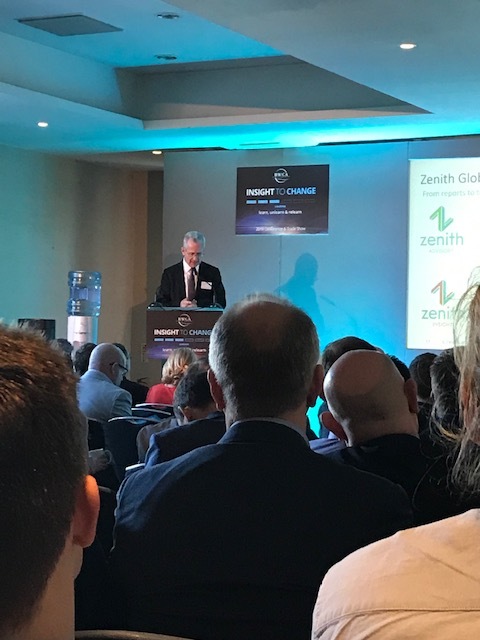 The announcement of the data for the year was presented to the conference by Zenith’s founder and chairman, Richard Hall. POU outstripped growth in BWC units for the second consecutive year in 2018, up 3% to a total of 323,000 units. Even though the market continued its move towards POU, the BWC market grew at a faster rate than in 2017, growing by 1.5% to 355,000 units. The Zenith report comments: “A major factor behind this year’s growth was the hot summer weather. This has resulted in an increase in throughput and rising unit placements. Some market players reported that throughput was up over 30% for select locations in the summer months. Therefore, bottled water cooler volumes rose 4.0% to 326 million litres. Furthermore, the general consumer move towards water consumption and the current economic prosperity have also driven the growth”. The continuing interest in healthy, calorie-free hydration is also a contributory factor. Zenith links the strong growth of small pack bottled waters to the growth of consumption of water via coolers saying it has assisted, because people who pick up a small pack of bottled water are thought to be very likely to then consume water at work from coolers. The throughput of water for BWCs now stands at 924 litres – up from 901 litres the previous year. The market split between the two types of coolers has remained relatively stable since 2012. In 2018, mains-fed (POU) units represented 47.7% of the market, against 52.3% for BWCs. This represents a very slight increase for POU’s share of the market since the previous year (2017). The overall growth in 2018 was bigger than growth in any year since 2007. The value of the POU market continues to be less significant than BWCs. Total revenue for Bottled Water Coolers was £111 million last year compared with £28.7 million for POU units. The cost of bottled water in coolers rose by an average of 2.5%. 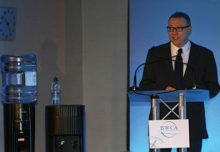 Looking to the future, Richard Hall said: “The UK water cooler market is set to continue growing by close to 2% a year. We forecast 742,000 units will be in operation by 2023, with bottled water throughput per cooler reaching 980 litres. Mains coolers are likely to gain further share towards 50% of the total”. Downward pressure on pricing especially in the bottled water cooler sector has reduced over the past couple of years, according to the full report from Zenith, so prices have held more steady. The direct effect of seasonality on sales has been noted as diminishing over recent years. People who have a ‘water habit’ continue to drink water no matter what time of year it is. However, the weather had an exceptional impact on all water sales from May to July 2018, with the hottest late spring and summer since 1929. Greater consumption of water from coolers encouraged more people to adopt the habit of drinking from their cooler at work and this has helped fuel growth. Looking to future opportunities for the sector, Zenith noted that, in the USA, 35% of water coolers are in the home whereas in the UK it is only 15%. Despite the higher quality of mains water in the UK, there is still seen to be a significant opportunity for growth in the residential sector – a potential which BWCA has noted in the past. The opportunity may come from the placement of under-sink products and compact water coolers rather than BWC or POU water coolers. As predicted previously, another potential area for growth could be hospitality as restaurants are looking for alternatives to bottled water. In the past purified water filter machines have served this desire, but Zenith is noticing a trend towards restaurants wanting bespoke machines that allow them to provide a better product from a hygiene and aesthetic point of view. Jon Wicks, BWCA chairman, said: “I am proud of the continued growth and success that our sector continues to deliver. This is in some measure due to high professional standards maintained by the work of the British Water Cooler Association. We are grateful to Richard Hall and the Zenith Global team, especially Simon Johnson, Akoş Petri and Louise Belsey for their research and for making this unique report available to our members. Our particular thanks go to Richard Hall for being with us today and delivering such an interesting presentation”. 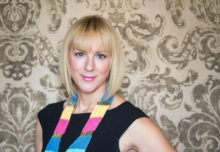 Phillipa Atkinson-Clow, general manager of the BWCA, said: “We are pleased to see this continuing growth for the sector. However, the uncertainty around Brexit, which we had expected to be nearing a resolution by the time of this conference, may undermine confidence and of course for all of us the level of economic prosperity is impossible to judge at present. The sugar tax which was introduced last year – and announced on the day of the BWCA conference in 2018 – has enabled the BWCA and businesses to underline their positive health credentials. Other speakers at the BWCA conference were Lord Deben speaking about sustainability; Brendan Hanlon, from Just a Drop, celebrating with members the Association’s continuing efforts in support of his charity in bringing clean water sources to villagers in Africa; and host, the BWCA’s chairman, Jon Wicks, and general manager Phillipa Atkinson-Clow.